The PATA Destination Marketing Forum (PDMF), themed on ‘Growth with Goals’, welcomed 290 delegates from 25 destinations. The event, hosted by Thailand Convention & Exhibition Bureau (TCEB) and Tourism Authority of Thailand (TAT), with the support of Khon Kaen Province, brought together delegates from the public and private sectors for insightful discussions on some of the major issues in marketing and managing tourism growth to lesser-known destinations. Dr Mario Hardy, PATA, CEO said, “This event stems from the need to help secondary and tertiary areas grow and develop into widely recognised, bucket-listed tourism destinations. Aligning with our advocacy theme of tourism dispersal, the forum shines the spotlight on new and emerging destinations, introducing delegates to lesser-known yet attractive corners of the world. It is designed to assist communities economically in these destinations by encouraging dispersion of tourists to new frontiers.” Delegates will hear from experienced industry professionals during the conference on major topics like ‘Status of Destination Management Around the World’, ‘Role of Local Experiences in Destination Marketing’, ‘Managing the Disconnect between Destination Organisations and Communities’, ‘Transborder Marketing. Case Studies of GMS’, ‘Fighting Undertourism Through Innovative Storytelling’, ‘Calculating our Impact as Destinations’ and ‘Leveraging Technology to Revolutionise the Travel Space’. Cholada Siddhivarn has been appointed as Director of the Tourism Authority of Thailand in Mumbai. She and her team in Mumbai will cover western and southern India as well as Sri Lanka and the Maldives. The announcement was made at a recently held Open to the New Shades networking dinner in Mumbai. Siddhivarn was previously the director of Europe, Africa, Middle East and the Americas Marketing Group at TAT head office. She has been working with Tourism Authority of Thailand over 20 years now. With such a vast experience, Siddhivarn will continue to enhance travel trade and media relations in order to promote newer destinations in Thailand and boosting arrivals from India to Thailand in the coming years. Talking on the occasion, Siddhivarn quoted, “I am very excited to take up this new opportunity and starting a fresh in the city of dreams – Mumbai. India is a very important country for Thailand in terms of tourism as well as trade. I look forward to encouraging women travellers, showcasing local experiences at the destination and boosting arrivals from India”. 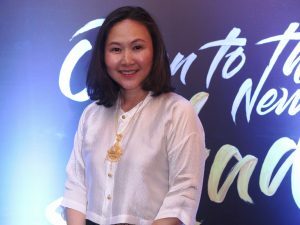 She considers India to be one of the important markets for Thailand and hopes to showcase different aspects of Thailand to the Indian traveller. TAT’s Mumbai and New Delhi offices, recently organised the sixth edition of the Indian Wedding Symposium and B2B session 2018 exclusively for the Indian market. 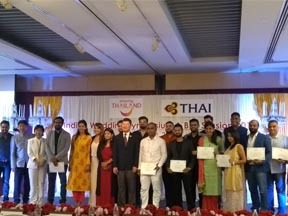 Top eight wedding planners from South and West of India and 10 wedding planners from North and East of India were hosted in Thailand from April 23-27, 2018. The itinerary included the scenic route of Phuket-Khao Lak-Krabi-Bangkok. During the trip, the group visited numerous beautiful hotels in these destinations to evaluate their potential as ideal venues for grand Indian weddings. The trip concluded in Bangkok with a Wedding Planners’ Symposium and B2B session at Centara Grand AT Central World, which included a panel discussion between representatives of the planners, hotels, and Tourism Authority of Thailand to strengthen the existing relationship and to attract more and more Indian weddings in Thailand. The discussion was followed by a B2B session in which the planners and various suppliers met and discussed future business prospects. Santi Chudintra, Deputy Governor, Asia Market extended his warm welcome to the Indian wedding planners and the 26 Thai private sectors. “The Indian wedding planners are the most important influencers to help promote Thailand as the most preferred wedding destination after they have first-handed experience and learned what Thailand has to offer from this familiarization trip. India is one of the key markets for us, last year we witnessed more than 300 Indian weddings in Thailand and we aim at doubling the number by the end of 2018″. 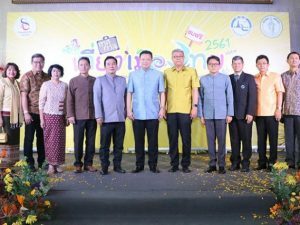 The Tourism Authority of Thailand (TAT) has launched a new campaign ‘Open to the New Shades’ headed by Yuthasak Supasorn, Governor, TAT. Set to introduce brand new products, the campaign is aimed at attracting repeat visitors and also first-time visitors. Visitors can discover new perspectives in existing attractions, or indulge in experiences at new tourist attractions. The event was attended by several senior executives from Indian travel companies, travel media and guests from the business community. Supasorn said, “India is now one of our top ten sources of visitor arrivals, a member of a small club of countries that generate more than one million visitors a year. In 2017, Thailand recorded 1.41 million visitor arrivals from India, up by 18 per cent over 2016, generating an estimated Rs 120 billion in tourism income. We are targeting a revenue growth of 12 per cent for India market in 2018. 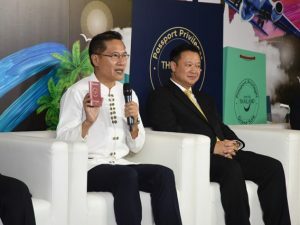 Tanes Petsuwan, Deputy Governor for Marketing Communication, TAT, outlined the broad variety of tourism products that Indian visitors will enjoy in the categories of Gastronomy, Nature and Beach, Art and Craft, Thai Culture and Way of Life. “The concept is about asking visitors to “open” their minds and hearts to deepen and widen their experiences to a new perception of attractions and experiences in Thailand.” said Petsuwan. 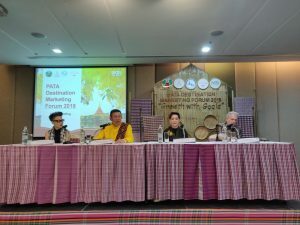 Themed on ‘ASEAN-Sustainable Connectivity, Boundless Prosperity’, the ongoing 37th ASEAN Tourism Forum (ATF 2018) at the Chiang Mai Exhibition and Convention Centre will conclude on January 26. Hailed as the largest travel trade event of the ASEAN region, ATF is rotated annually among the 10 ASEAN countries. Yuthasak Supasorn, Governor, Tourism Authority of Thailand (TAT), said, “This year, we are proud to mark the first ATF after commemorating the 50th anniversary of ASEAN in 2017. We are delighted to have participated strongly in the ‘Visit ASEAN@50’ campaign with a series of carefully selected Thai products, tour packages and offers to bring memorable travel experiences.” ATF is the only annual opportunity for both public and private sectors of the ASEAN travel and tourism industry to get together and discuss issues and trends of the ASEAN tourism industry. Thailand is hosting the event for the sixth time, but has relocated it for the first time to Chiang Mai as part of the policy to promote secondary destinations, create more jobs in the rural areas, ensure better distribution of tourism earnings and highlight Thailand’s linkages with the Greater Mekong sub-region countries. 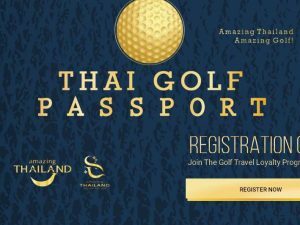 SLW, a golf management company, in association with Tourism Authority of Thailand (TAT) has launched Thai Golf Pass, a reward and loyalty programme to offer Indian golfers a seamless golf experience in Thailand. Every Indian golfer who plays golf in Thailand will receive points depending on the services used from the service providers. Anil Dev, Managing Director, SLW, stated, “Indian golfers can be a part of this amazing rewards programme whenever they tee off in amazing Thailand. A number of quality service providers like Thai Airways, Cox & Kings, Callaway and a number of golf courses, resorts and hotels have come together to partner this initiative.” “As India is a leading market for Thailand, we have launched Thai Golf Passport to ensure value added services. 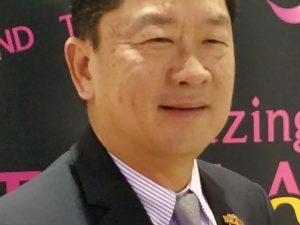 This will help golfers to enjoy the game in their favourite destination and help us in connecting with the golfing fraternity in India,” said Isra Stapanaseth, Director, Tourism Authority of Thailand. The Thai Golf Passport was launched in New Delhi by Stapanaseth along with Vani Kapoor, leading Indian golfer; Gajendra Panwar, Vice President, Cox & Kings and Prashant Singh, General Manager, Callaway Golf India. The Tourism Authority of Thailand (TAT) is back with the 38th Thailand Tourism Festival (TTF), to be held from January 17-21, 2018 at Lumphini Park, Bangkok. H.E. Weerasak Kowsurat, Minister of Tourism and Sports will preside over the opening ceremony. The festival will showcase attractions and culture from all corners of the Kingdom of Thailand. Yuthasak Supasorn, Governor, TAT, said, “The incredible experiences and attractions on offer across Thailand are being showcased at this year’s TTF, coupled with an array of food, culture, live music, and more.” The 38th edition of the festival will be made up of ten zones, including ‘Follow in the King’s Footsteps – the Art and Science of the late King Bhumibol Adulyadej’ in Zone 1. Zone 2 will have domestic travel products – introducing all that’s on offer for domestic travellers. Zone 3 would have ‘Discover Thainess in five regions – the Northern village will feature King Bhumibol Adulyadej’s ‘Sufficiency Economy Philosophy’, information about local hill tribes and Doi Tung coffee shops.